Before our flight on the 27th, we visited my sister Lyn in Pasig. 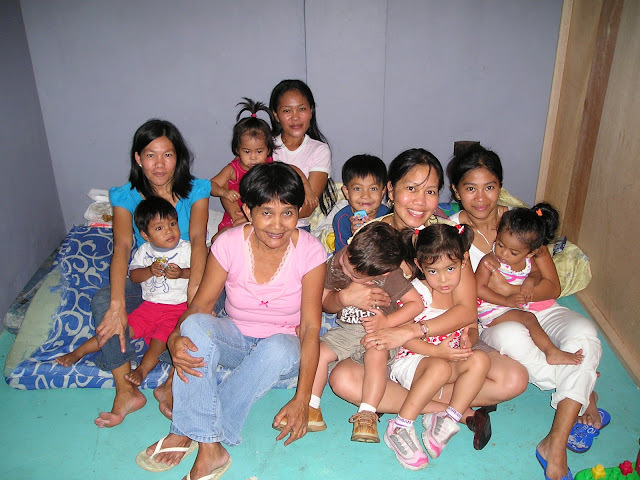 Two of my other sisters who live in Cavite and Payatas went there for us to meet and see each other before we leave. They were not able to come home in Donsol during our visit. It was hard to see them for just a couple of hours and then say goodbye because I miss them so much. If I can just provide for all my siblings, I will definitely do it because I hate seeing them in their situations but I don't have the means. I can only pray for them that may God give them strength to carry on the challenges in life. I tried to set a good example to them before but they chose different direction. Oh crap, I don't like crying wahhhhhh! My sisters are very skinny and looks older than their age.